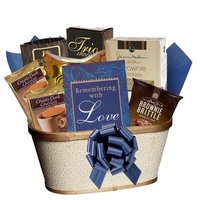 A thoughtful sympathy gift basket for sending condolences. Sympathy gift baskets include books with words of comfort for grieving. Remembering with Love: Messages of Hope for the First Year of Grieving and Beyond a book of comfort. Each page is a quote or feeling of someone who has endured a death. Then there is validation,advice,and comfort in the form of a couple of paragraphs. Lastly, an idea,thought or message that validates all feelings during the grieving process. Triple chocolate cookies with three kinds of chocolate in one cookie. One pot gourmet coffee made with precision ground Arabica beans, an irresistibly creamy flavor that is both delicious and distinctive. 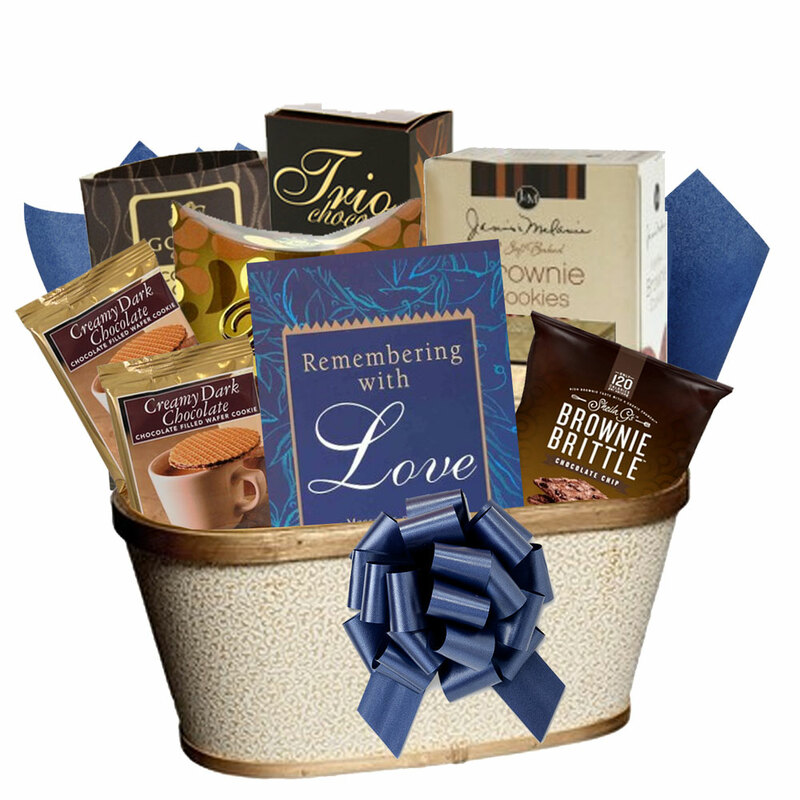 Condolences Gourmet Sympathy Gift Basket arrives in a white and gold gift basket wrapped in cellophane and topped with a bow. Gift measures approximately 13. "l x 6"d x 13"h.